#Nelson Mandela Let us give thanks for his life. He had known great hardship-having being in prison for 27 years facing many humiliations for the sake of justice, fair treatment, and democratic rights of all African peoples. He was not a great speaker, but because of the way he had faced life, whatever he said came over with genuine authority, and there was a sense of presence about him which conveyed goodwill to all peoples, and an ability to be inclusive. When we fail, and fall, may we begin again, and press on towards the heavenly vision. He was a man who forgave others, and encouraged others to do the same-especially in the acts of public forgiveness that took place in South Africa. May we also generously and wholeheartedly forgive others who have hurt us- so that we too can move on, mature, and be truly healed, restored and forgiven. Let us give thanks for the influence of the Methodist Church on his life- his childhood, his education, through the visits of a Methodist chaplain to him during the 27 years of his imprisonment, and that as a church we gave our support to the anti Apartheid movement. Let us continue to fight against poverty and injustice in the world- in our actions, our prayers, our attitudes, and in our giving. Let us pray that in the years that lie ahead- that Africa will be led by wise and mature leaders, that the whole world will have leadership of the kind that it needs. May each one of us allow our lives to be used as a leaven in society. Almighty God, we give thanks to you for the year that is past. We ask that we may be thankful for all the good experiences, as well as learning lessons from the difficult ones. As we start a New Year we pray that we may be open to new opportunities presented to us. May we be more Christ-like in our thoughts, our actions and intentions. Help us to build on Jesus Christ who is our sure foundation and through whom we have certain hope of eternal life. We pray for peace in the world and in the environment in which we live: that nothing in our lives and our attitudes may hinder it’s growth. We ask for forgiveness for the misuse of what you have given us in times past, that we may be restored into your loving purposes, and readily willing to give to you the service that you would desire in the year that lies ahead. ‘ as it was first known, came into being in the mid seventies. It is not possible to easily update the old ‘prayer12’ site .There is however much helpful information there, especially by way of prayers, and many other activities related to prayer, please visit twitter and facebook. 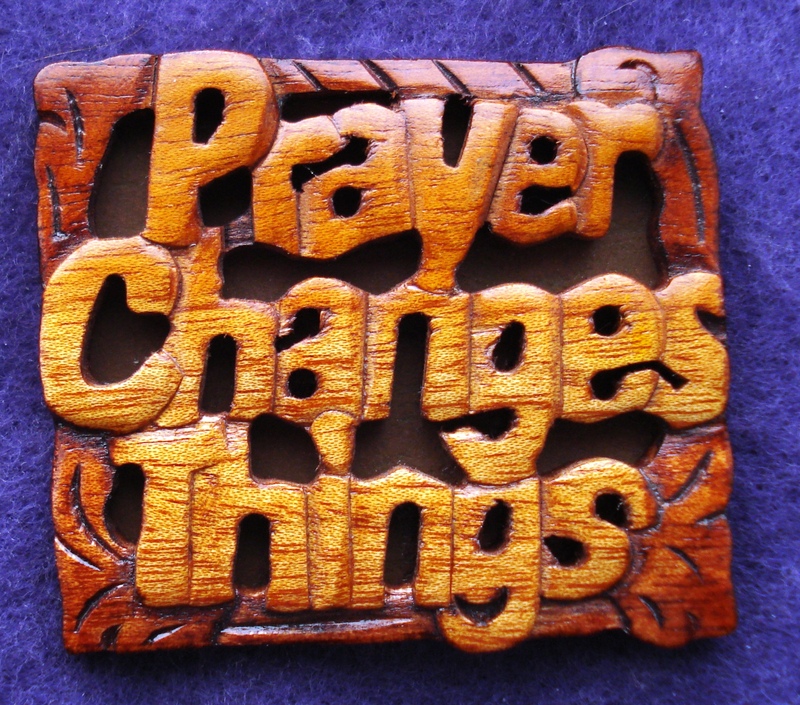 Does prayer change things? I believe it does. Prayer can have a tremendous effect on our lives and the lives of others and it can help to change situations beyond all recognition, but not always in the way that we think. Some look upon prayer as a magic wand which you wave, and all will be well. There are some occasions when prayer seems to work like that; when we take our worries ‘to the Lord in prayer’, and either things work out far better than we might have imagined, or we find we are given strength to cope with the situations we face. Frequently though prayer is nowhere near so straightforward. For many of us the support of others by their prayers when we are going through difficult times is of great help and encouragement, especially when we find it difficult to pray for ourselves. ‘Prayer support,’ and remembering others by name is one of the most valuable things, and valuable ministries that we can all share in. Prayer is a tremendous ‘strengthening’ for others in times of distress. The perspective from which we look at prayer however is important too. First of all, it calls us to look outside ourselves and our human situations towards ‘the power which is beyond ourselves’. The Psalmist in Psalm 121 said in a way that was typical for the ‘mindset’ of his day “I will lift up mine eyes unto the hills, from whence cometh my help.” Help does come as the Psalmist said ‘from the Lord who made heaven and earth. We likewise have to look ‘beyond’ to God for our support in times of need. However, prayer also changes our relationships with people. If we pray for others for instance, we will be seeking their greater good as well as healing and comfort for their lives. Vincent Peel once said in one of his books about prayer ‘When you pray for anyone you tend to modify your personal attitude toward them.’ It also follows that what is true in our closer inter relationships with others in prayer, can also be a tremendous force at work in the world for peace and in fact it changes our attitude towards the rest of the world.